All capitalist economies experience fluctuations in employment and economic activity around a long-term growth rate. How is this cyclical pattern of growth to be explained? Are the causes of fluctuations in output and employment to be found outside the system or are they intrinsic to the system? Will the long-term growth rate correspond to the growth of the labour force? 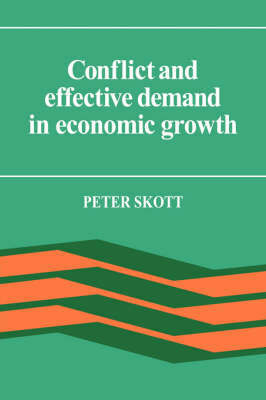 It is the search for answers to these questions which motivates Peter Skott's analysis. The book develops a theory of dynamic interaction between three types of agent: firms, households and banks. Firms are profit-maximisers operating under conditions of imperfect competition and their production and investment decisions are influenced by monetary and financial factors as well as by the state of the labour market. Households hold financial assets, supply labour and have a direct influence on nominal wage rates. Banks set interest rates on bank loans and deposits. No assumptions are made about nominal price rigidities and the capital-output ratio is determined endogenously. Using a framework of analysis which is rigorous and which does not exclude traditional neoclassical mechanisms, this book demonstrates the validity of important Marxian and Keynesian insights into the growth process.